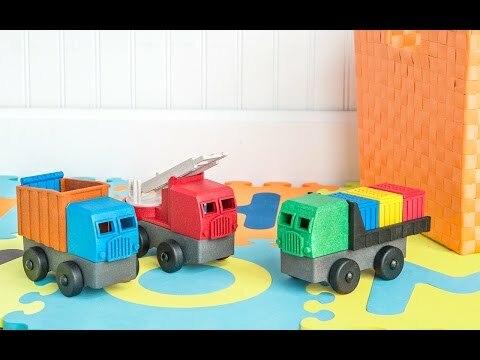 A four-part stacking truck, this toy is Made in the USA (like all Luke’s toys) from a composite that includes sawdust from U.S. furniture manufacturers. 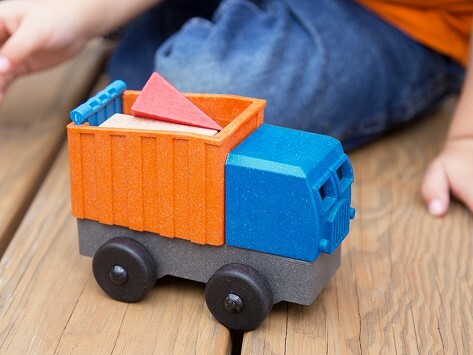 No glue, no paint, no BPA—just a fun, innovative toy. A great addition to the construction site (a.k.a. your living room floor). Dimensions: 6" x 3.5" x 4"
We had pre-K youngsters really enjoying these fun and innovative vehicles. My grandson who is 18 months old absolutely loves his new dump truck. Love - a fun well made sturdy toy.